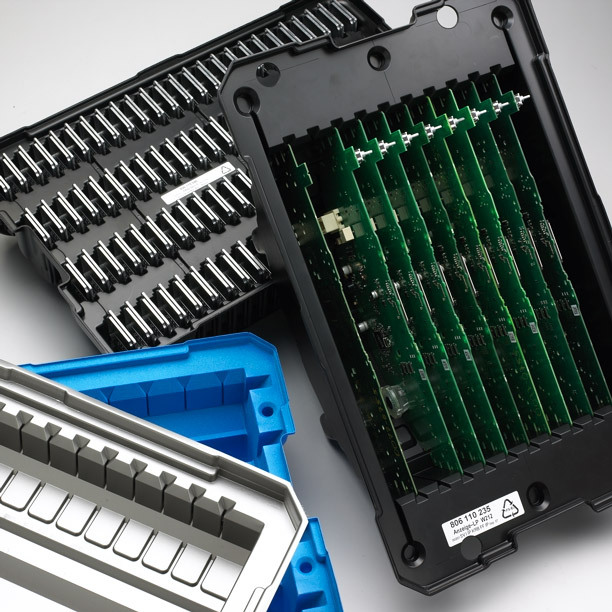 For the transport, storing and packaging of conductor boards and electronic components, we produce individual thermoformed plastic trays made from conductive polystyrol, conductive ABS, conductive ABS/TPU, dissipative HIPS and dissipative PET and PVC. The colouring ranges goes from black, white and transparent to all covering colours. 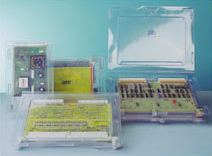 We look back on many years of experience in packaging electronic components and guarantee professional project management. 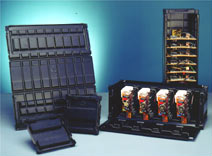 In the global dispatch of electronic components, we recommend using our multiple part folding containers. The benefits: you get a safe transport medium in multiple use system and simultaneously minimise the transport volume with this plastic packaging. 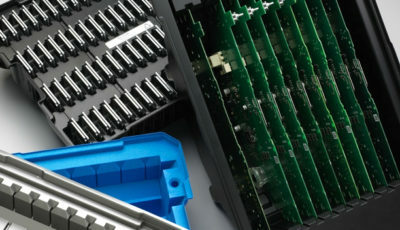 We use the above plastics also in this area for ESD protection. We offer you our widely known and varied tested standardised special packaging for conductor boards in single and double Euro formats in numerous variants. Unproblematic in handling, practical thanks to material transparency (on request also available in black conductive PS) and stackable, this folding packaging protects your conductor board optimally during internal and external transport. It goes without saying that we will also be happy to develop individual folding packaging for our customers, which we can adjust to the outlines of all conductor board geometries.